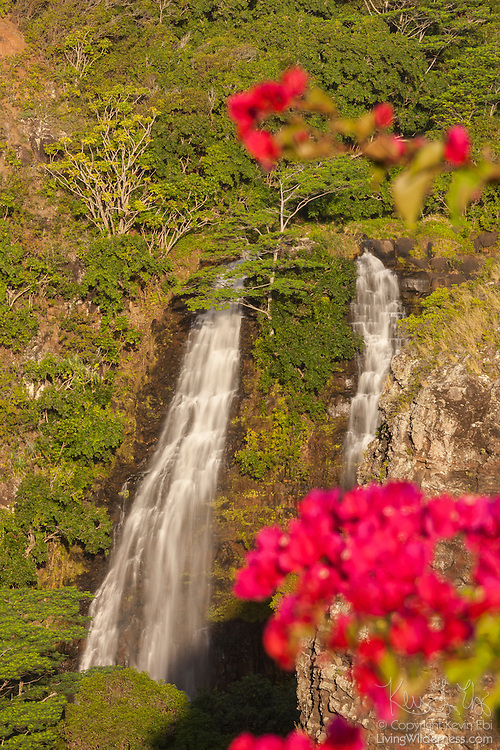 Colorful flowers frame 'Opaeka'a Falls, which plunges about 150 feet down a rock face in eastern Kaua'i. 'Opaeka'a means "rolling shrimp" in Hawaiian. They apparently used to find shrimp at the base of the falls.